The Walloon Center for protontherapy is on track! On December 13th, the Walloon Government has officially given its green light for the launch of a center for protontherapy in Wallonia! 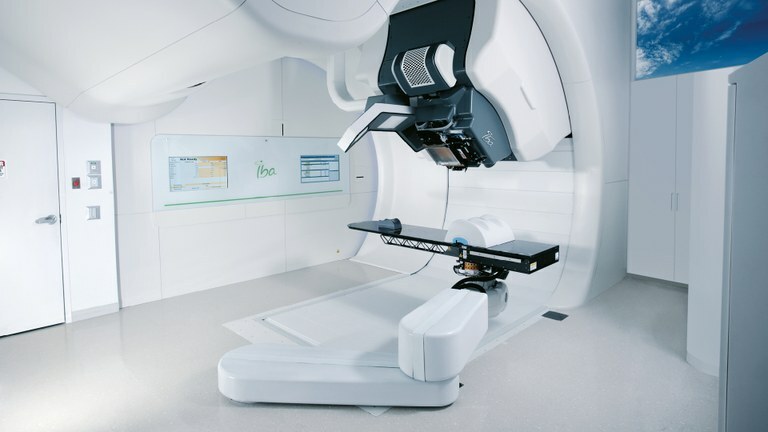 It committed to release 46 million euros for the technological innovation partnership PROTHER-WAL ("PROton THErapy Research in WALlonia"). Protontherapy is generally acknowledged as the best therapeutic choice for many cancers, especially in situations where treatment options are limited or present unacceptable risks for the patients, i.e. in brain tumors or ocular cancers. It is also particularly appropriate in pediatric patients as it reduces the risk of secondary cancers. Protontherapy offers many benefits over conventional radiotherapy. Protons can target tumors with high sub-millimeter precision, while minimizing the dose directed into surrounding healthy tissues. The Walloon center for protontherapy will be located at Lodelinsart, close to the Hôpital Civil Marie-Curie - CHU de Charleroi. This center will be dedicated to research and development activities at preclinical and clinical stages, to technological developments, as well as to the treatment of patients. The research program PROTHER-WAL will be conducted jointly by four universities: ULB, ULiège, UMons and UNamur. On the UNamur side, NARILIS will be a major player in this ambitious project, through the involvement of its radiobiology team led by Prof. Carine Michiels (Laboratory of Cellular Biology, URBC), Prof. Stéphane Lucas (Laboratory of Analysis by Nuclear Reaction, LARN) and Prof. Anne-Catherine Heuskin (LARN). This team has expertise in studying the biological effects of irradiation with charged particles (protons, alpha particles, carbon ions) in monolayer cell culture. Moreover, the LARN has built up a recognized competence in Monte-Carlo simulation, a tool to predict survival fractions of irradiated cells and used for dose calculation and treatment planning. Six hospitals has also joined the partnership towards the installation of the new protontherapy facility: CHU de Mons-Borinage, CHU Liège, CHU Tivoli, Grand Hôpital de Charleroi (GHDC), Hôpital Erasme and Intercommunale de Santé Publique du Pays de Charleroi (ISPPC). IBA, the world's leading provider of protontherapy solutions based at Louvain-la-Neuve, will be involved in the project as the supplier of the Proteus®ONE and as a research partner. Furthermore, the ProtonW.be company was founded to ensure the management of the future Walloon center for protontherapy.